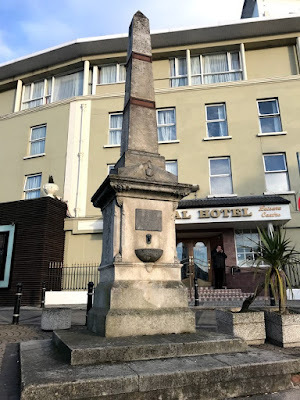 I was writing about the Royal Hotel in Bray yesterday [9 March 2018], and how its restoration in recent decades has returned it to its former glory, when it was the premier hotel in the north Wicklow town. In front of the restored grandeur of the Royal Hotel, the former courthouse is now a sad and neglected state on a paved corner at the north end of Bray’s Main Street. This was the Market Square in mediaeval Bray. With the expansion of the small settlement founded on the banks of the River Dargle by the de Riddlesford family in the 13th century, a market became necessary. In July 1213, the square was formally laid out under a Royal Licence. Throughout the Middle Ages and for some time after, markets were held weekly, and fairs held twice a year – on Saint Martin’s Day, 11 November, and on the Feast Day of Saint Philip and Saint James, 1 May. These markets would have been the highlight of the week, and the fairs were the fairs were the highlights of the year. In later years, William Brabazon (1769-1797), who succeeded his father as the 9th Earl of Meath in 1790, built a new market house on this spot. He was never married. He was killed in a duel on 26 May 1797, and he was succeeded by his brother John Brabazon (1772-1851), 10th Earl of Meath. Lord Meath’s courthouse was torn down some years later and it was replaced by a Classical-style courthouse built in 1841. It stands on a prominent site at the north end of the Main Street. This is a three-bay two-storey building and it was extended at the north-east corner in the mid- to later 1900s. The building is basically square in plan with a small projecting porch on the south side that sits within a shallow full-height pedimented bay. The façade is finished in painted render with granite alternating quoins, a sill course and door and window surrounds. The porch has panelled pilaster-like corners and a granite parapet with squat end piers. The roof of the original section of the building is hipped and slated with a single rendered chimney-stack behind the pediment of the bay to the front. The extension has a flat roof. The entrance is at the west side of the porch and consists of a panelled timber door. The windows are flat-headed and had six-over-six timber sash frames. However, the two first-floor windows at the front have been blocked up. At the ground floor on the front and the west elevation, there is a series of niches that may once have been windows. Another niche has a plaque commemorating Charles Barrington (1834-1901), the first man to climb the Eiger Peak. Barrington was from Fassaroe in Bray, and in 1858 was the first man to reach the summit of the Eiger. The plaque was erected to mark the 150th anniversary on 11 August 2008. 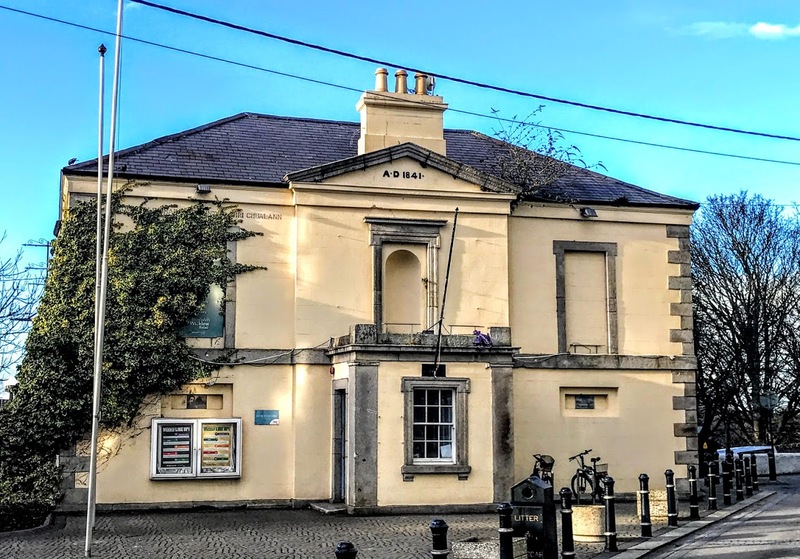 After Bray’s first town commissioners were appointed in 1859, their meetings were held in the courthouse until the Town Hall was built in 1880s. Oscar Wilde was once up in court there after some confusion over selling his father’s properties on Esplanade Terrace. The estate agent accepted offers from two different bidders. The bidder who was later declared unsuccessful sued Oscar Wilde, who won the case but had to pay the court expenses. Last year (2017), Ian McGahon of Bray Labour Party expressed serious concern at how the historical archives and artefacts stored in the former heritage centre are being neglected. This building continues to form an important element of the historic civic quarter of Bray. Despite recent developments, and in spite of recent neglect, it retains much of its original fabric and the authority of the courthouse remains intact. 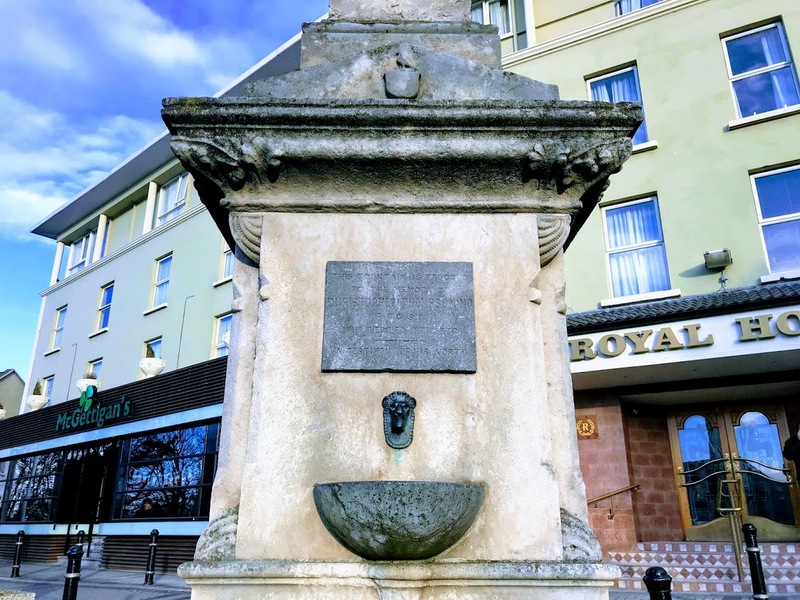 The small paved area in front of the building has a stone obelisk monument with a fountain, erected by public subscription in memory of Dr Christopher Thompson (1815-1876). It is similar to the memorial to Dr Isaac William Usher in the centre of Dundrum, close to the steps leading up to the Luas station. Dr Thompson was born in Dublin, and as an army doctor, he was assigned to the Light Infantry in Queenstown (Cobh). He returned from a posting at Portsmouth General Hospital to Ireland in 1859 and lived at 9 Duncairn Terrace while working as a doctor in Bray. When there was an outbreak of cholera in the Boghall Road area of Bray in 1876, he responded immediately and volunteered to care for the victims. But he contracted cholera himself, and he died on 16 December 1876. He is buried in Saint Paul’s churchyard, across the street from the memorial, erected after a meeting in the Royal Hotel on 26 January 1877. The monument is a protected structure, but it is made of soft sandstone, and there are fears that any attempts to clean the stone work by chemical treatment or sand blasting would damage the monument. In my meditations and reflections in Lent this year, I am being guided by the Stations of the Cross from three locations. The idea for this series of morning Lenten meditations comes from reading about Peter Walker’s new exhibition, ‘Imagining the Crucifixion,’ inspired by the Stations of the Cross, which opened in Lichfield Cathedral last month and continues throughout Lent. Throughout Lent, my meditations each morning are inspired by three sets of Stations of the Cross that I have found either inspiring or unusual. They are the stations in Saint Mel’s Cathedral, Longford, at Saint John’s Well on a mountainside near Millstreet, Co Cork, and in the Chapel of Saint John’s Hospital, Lichfield. In my meditations, I am drawing on portions of the Stabat Mater, the 12th century hymn of the Crucifixion (‘At the cross her station keeping’) attributed to the Franciscan poet Jacopone da Todi. Some prayers are traditional, some are from the Book of Common Prayer, and other meditations and prayers are by Canon Frank Logue and the Revd Victoria Logue of the Episcopal Diocese of Georgia. For these two weeks, I am looking at the 14 Stations of the Cross at Saint John’s Well in a forested area on the slopes of Mushera, outside Millstreet in north Co Cork. Saint John’s Well is 8 or 9 km south-east of Millstreet, on the slopes of Mushera, on the Aubane side of the mountain, opposite the entrance to Millstreet Country Park and a short distance from the Cork/Kerry border. The Stations date from 1984 and were designed by Liam Cosgrave and Sons, Sculptors, of Blackpool, Cork. In the eighth station by Liam Cosgrave in Millstreet, we see Jesus carrying his cross on his own, without the assistance of Simon of Cyrene or the pushing and pulling of the soldiers taking him to his death. But three weeping women meet Jesus on his way along the Via Dolorosa through the streets of Jerusalem. On the Via Dolorosa in Jerusalem, Station VIII is beside the Greek Orthodox Monastery of Saint Charalampus, where it is marked by a cross and the Greek word NIKA, meaning Victory, carved into the wall. Who are the women who bear the suffering of the world and for you offer hope to the world today? 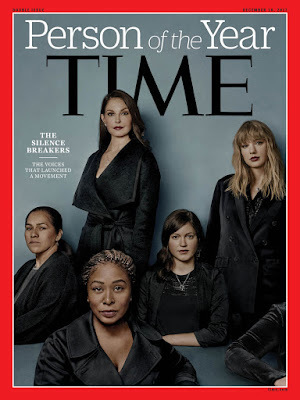 I can think of Rosa Parkes, the Greenham Women in the 20th century, or the suffragettes who secured the vote for women 100 years ago this year. I think of former President McAleese, who went ahead with her speech in Rome on International Women’s Day on Thursday [8 March 2018], despite Cardinal Kevin Farrell’s efforts to stop her speaking in the Vatican because of her support for the ordination of women. It is not just the Vatican, but all sections and traditions in the Church, that need to sit up and listen to her prophetic words. 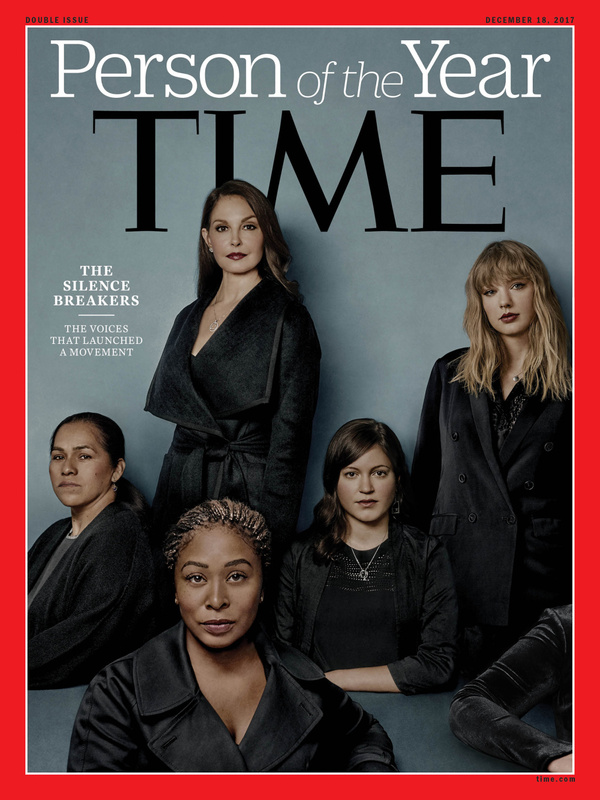 I think of the women’s protests across the US in January, worried not just about President Trump’s politics and policies, but the culture of sexism and misogyny that underpins this Trump presidency. I think of the Women in Black, an anti-war movement around the world, including the women who have held constant silent protests in Cambridge on Saturdays since 2002. I think of the Mothers of the Disappeared in Argentina, who continue to protest in the Plaza de Maya 40 years after they first protested in Buenos Aires. Whose voices are you listening to today? Whose tears do you see being shed for the world today? Lord Jesus, crucified, have mercy on us! Till His Spirit forth He sent. Tears. Wailing. Daughters. Mothers. Grief. in the days of woe yet to come. Son of Man, you told the women of Jerusalem to weep not for you but for themselves and their children. Give us the gift of tears for our own sins, that we may mourn the ways in which we fall short of the glory of God that we may truly repent and return to you. This we pray in the name of Jesus, our crucified Lord, the King of Glory, the King of Peace. Amen. Jesus, as you carry your cross, you see a group of women along the road. As you pass by, you see they are sad. You stop to spend a moment with them, to offer them some encouragement. Although you have been abandoned by your friends and are in pain, you stop and try to help them. Breaking the Silence … whose voices are being heard today, whose tears are being shed for the world? Tomorrow: Station 9: Jesus falls for the third time.